Rather than support the British by ordering fabric for uniforms, our first army in the Revolutionary War was commissioned by George Washington with buckskin shirts, leggings, and mocasins made from brain tanned deer leather tanned here in America. In addition, as a new nation, one of America's first exports to Europe were brain tanned deerskins. 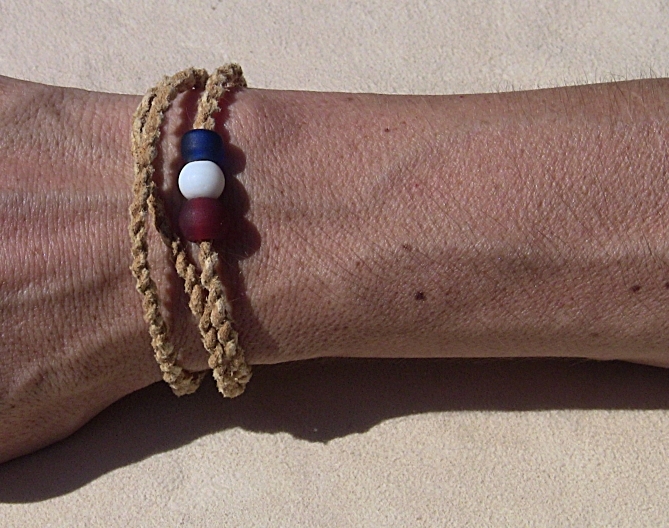 This bracelet's leather is tanned from deer using the exact same methods as was done by our forefathers. 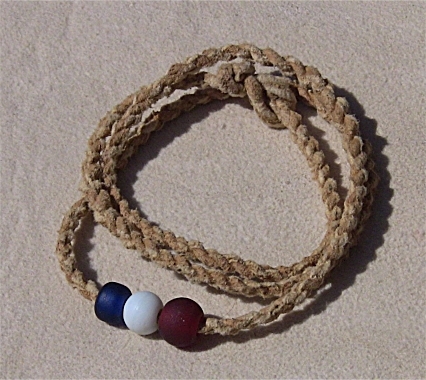 Show your patriotism and passion for American freedom and entreprenuralism by wearing this bracelet! Sizes S-M-L.